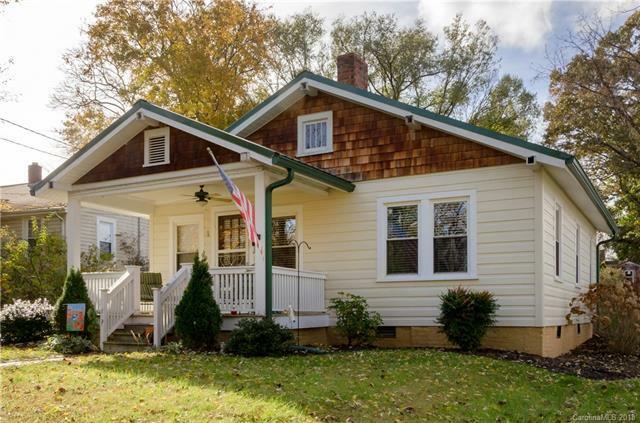 Incredible West Asheville location!!! This beautifully maintained, sunny, charming 1923 bungalow sits up high off of Patton Ave. on a quiet street, WALKING DISTANCE to Haywood Road!! Relax on the covered front porch and enjoy the abundant sunshine and outdoor space surrounding. Beautiful, original hardwood floors, crown molding and freshly painted walls. You're moments away from all the amenities on Patton yet just by Downtown and West Asheville as well. This is the one you've been waiting for -- it's the best of all worlds!